The legendary Liverpool manager Bob Paisley used to say he found little difficulty in leaving players out of his team for big games, because he had experienced the pain himself in the 1950 FA Cup final. 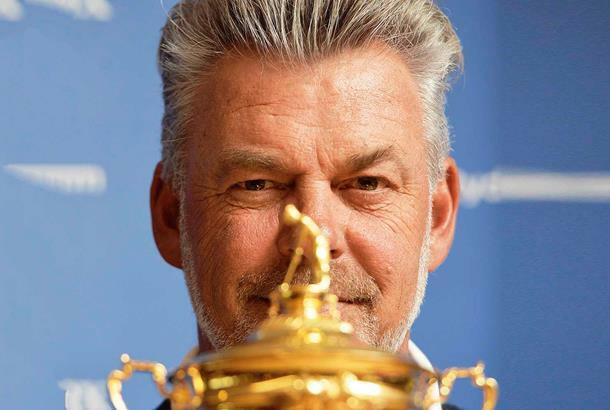 Europe’s Ryder Cup captain Darren Clarke, a keen supporter of Liverpool himself, might well draw on similar experience when the going gets tough at Hazeltine. Because while Clarke has a stellar record in the biennial matches – with an overall win percentage better than Sir Nick Faldo and Bernhard Langer and 0.04 behind Seve – it hasn’t always been smiles, high fives and knuckle bumps. Clarke made his debut in 1997 at Valderrama under the leadership of Severiano Ballesteros. It was a changing of the guard in the European team, with Clarke one of five rookies. Three played on day one, but Clarke was not one of them. Ignacio Garrido of Spain, Sweden’s Jesper Parnevik and Englishman Lee Westwood all got a taste of the action, but Clarke sat out the whole of the day. His mood might have been improved by the fact that the other chap not called on by Seve that day was Ian Woosnam, a European titan and a Major champion earlier that decade, but nevertheless it was not an enjoyable experience for such a proud man. When he did enter the fray, he registered a one-up win in Saturday morning’s foursomes alongside Colin Montgomerie against crack American pair Fred Couples and Davis Love. It was his only pairs outing at Valderrama and a 2&1 reverse to Phil Mickelson followed in the singles, but the Ryder Cup career of a man that would become a stalwart of the side for the next four matches was born. At Brookline two years later his partnership with Lee Westwood was conceived, a pairing that on three different occasions – versus Woods & Duval in 1999, versus Woods & Mickelson in 2004, and versus Woods & Furyk in 2006 – saw off the golfers then ranked No.1 and No.2 in the world. By the time of The Belfry in 2002 he was established as a team leader, playing every series of matches under the kindred spirit captaincy of Sam Torrance. He was ever present two years later under the more introspective Bernhard Langer, too. And then there was 2006 at The K Club. Clarke is a 14-time winner on the European Tour, a WGC champion, an Open champion, a decorated Ryder Cup player and assistant, but he knows the 2016 match against Davis Love’s hyped-up American side is likely to be his last big stand on golf’s world stage. And as he reveals here, he’s determined to get it absolutely spot on. What has surprised you most about the captaincy so far? The decisions. A lot of things go on behind the scenes. Picking everything and deciding everything that happens has to go past me for my yay or nay. I’ve turned up as a player and vice captain before and everything is in my room and you have a schedule and you adhere to it for the most part. Everything is laid out and sorted for you. But I have all these decisions to make all of a sudden. There’s an awful lot more things that go on behind the scenes than I had originally thought. What aspect are you enjoying most about it? It’s all been enjoyable. It’s a long way to go yet because the team has a long way to go to be decided. 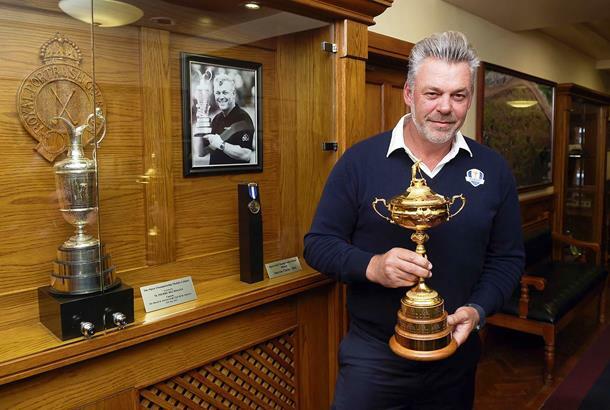 But the Ryder Cup has always been very special to me, playing in it five times and being a vice-captain twice. When you became a vice-captain rather than a player, did you see the Ryder Cup in a different light? No, I still wanted to play! It doesn’t matter if you’re vice-captain or captain, you’d still rather be playing. The experience is just so incredible, it’s like a drug and you’ve got to be part of it and play in it to understand all that. It’s a massively different role, but still there is a huge buzz around it. As a vice-captain you still feel as if you are a player. You still feel as if you are hitting every shot with the player. You go through every shot with the players. Could you actually enjoy it as a player? If you’ve been a Ryder Cup player there is a bond between you. It’s difficult to enjoy I suppose because there is so much pressure and tension involved, but I have actually enjoyed almost all of mine. It goes so quickly, from the opening ceremony to the singles. But I was part of four winning teams as a player and two as a vice-captain, so it’s easy for me to say I enjoyed it. It’s easier to enjoy it if you are on that side of things. Everybody is very, very nervous, that’s a given. Everybody. But if you don’t enjoy it there’s something wrong. You must be leaning on the experiences of your own captains as you prepare for the job? Sam Torrance was just sensational. Brilliant. He was an arm-round-the-shoulder captain and involved everybody in everything. Hopefully I’m going to be like that. Europe has had a pretty strong team. Jesse (Mark) James was fantastic in 1999, even though we lost. Woosie managed me very well at the K Club. Seve was my first... that was different. He was marching around all over the place and being in Spain he was just desperate to win. It was a wonderful introduction to the whole passion of the Ryder Cup. Langer was methodical, calm. What sort of captain will you be? I’ve got a great team around me already. I will make the final calls, but I will consult with my team. I’m not arrogant enough or stupid enough to think I have all the right answers. I need the help of other people to come to. That’s stupidity personified, to not consult the views of others. Yes, I’ll have to make some tough decisions but what’s the point of having vice-captains and stats teams around me if I don’t consult them? You had a different experience of the Ryder Cup last time, working for television. How did that work out? Working with Sky at the Ryder Cup, I wanted to do it well; I wasn’t just going there to offer a few boring quotes. I wanted to do it as well as I could. But it was quite straightforward really, because it was an arena I knew well – I knew the European players well and I knew a lot of the American players. I am pretty comfortable in front of the camera, it is part of what we do as tour players. I enjoyed it, it was very good and you try to be as unbiased as you can. Even though I was delighted with how Europe played, cheerleading isn’t what your viewer at home always wants to hear. Is this Europe’s toughest task for decades? It’s no tougher than any other one. They are always good sides and Davis is desperate to win, just as much as we are. We are going to have a very strong team no matter who qualifies. They have home advantage and small margins make all the difference. We weren’t supposed to go on this run that we have done, it wasn’t expected. So it will be another very close match. Jordan, Rickie, Bubba, Dustin... it’s a strong start to a side though? Well, I can throw some back at you. What about Rory, Justin, Henrik, Sergio... Would I swap their team for my team? No. Compare this to, say, the American side at The K Club – surely this will be a team with much greater depth to it? America does not field a weak team. Europe has just played incredibly well. We have putted well, our stats have been incredible. No way would I ever think the Americans have a strong or weak team. The margins are tiny. It is 24 of the best players in the world and it is 18 holes of match play and it is who holes the putts at the right time. Europe have done it more frequently recently. Is the challenge of going to the States rather than hosting a Ryder Cup very different? Totally different, and I’ve been fortunate enough to play both home and away. They are different events. Home match, the supporters are partisan. That’s what you expect. They need to get behind the home team. That’s all part and parcel of The Ryder Cup. And even more so in recent years, the noise has been getting bigger and bigger and bigger. That’s great. Most of our team live and play in America though, so the fans are maybe a little bit more used to them over there. And it’s still 12 guys against 12 guys playing match play; anybody can win. What makes a good captain do you think? You’ve got to be balanced in your decision-making and understand that 99 per cent of people might not think you are correct, but you do what’s best for everybody. It’s not about me, it’s about the players, it’s about the team.